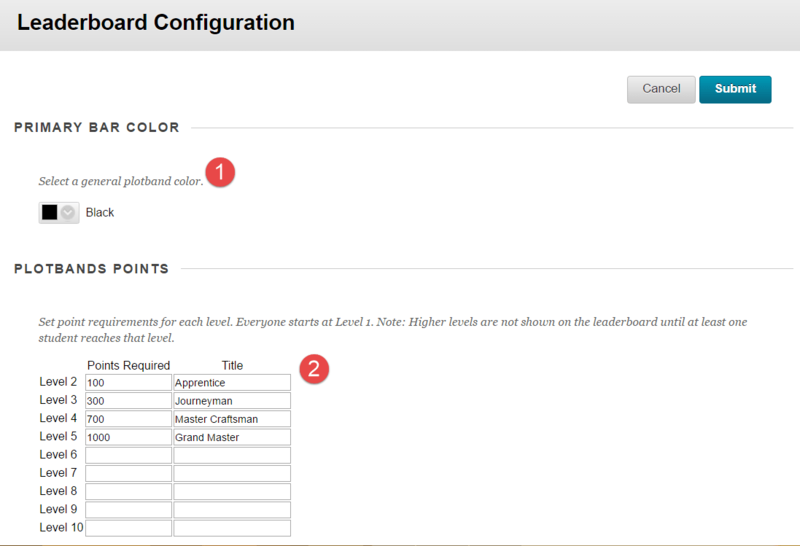 Want to add some gamification to your Blackboard course? 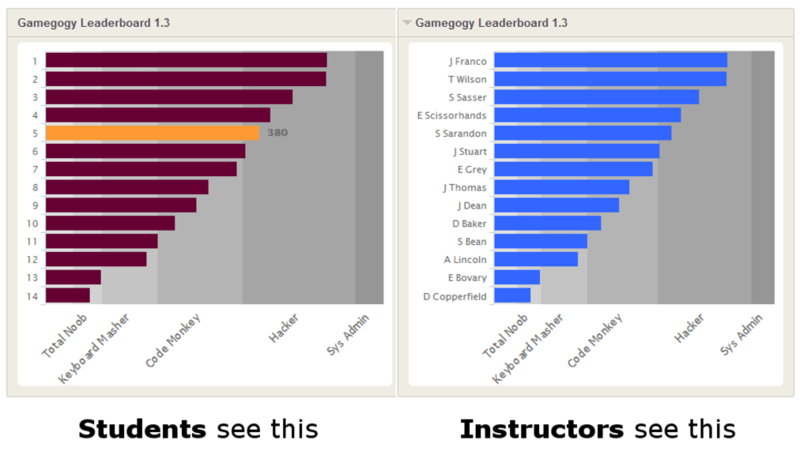 The Gamegogy Leaderboard module displays a student’s total points and rank, and compares this score to their classmates. An instructor will see the students’ names displayed, while students will only see an anonymized rank. Below shows the differences between the instructor and student view. Notice how the students would see their own points and rank in a different color. Students will not see other students names. This can be easily added into your course by clicking Add Course Module on your course’s Dashboard. Once you add it to the Dashboard, you are able to change the various settings by clicking on the gear icon. 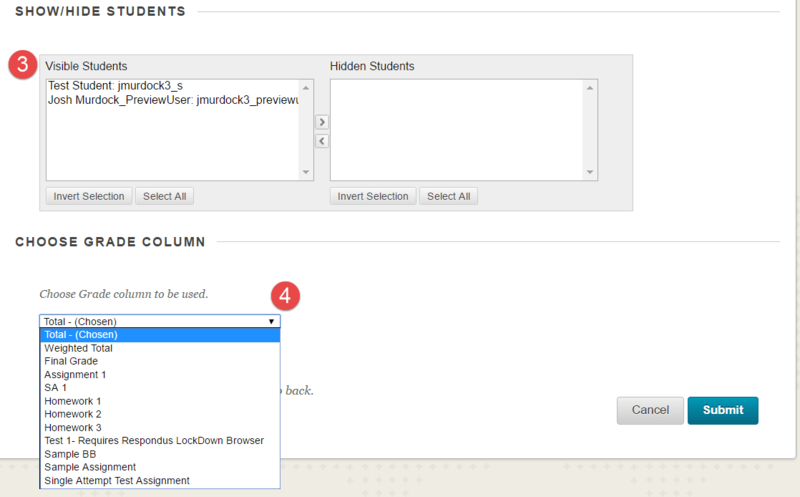 Remember this is an optional module to add inside your course’s Dashboard and isn’t required or setup by default. As stated earlier, an instructor will see the students’ names displayed, while students will only see an anonymized rank.